UNAWARE – Three days of unthinkable horror will either redefine Kari Sterner’s reality…or it will destroy her and everyone she cares about. She sees their helpless bodies. Hears their imprisoned screams. Feels the cold steel blade, the warm rush of blood. A gloved hand reaches for the next victim. And…Kari can’t stop it. Unaware of her cognitive gifts, Kari needs answers. An obsessed psychiatrist has them but only wants to control her mind and, with it, the flow of time itself. Mangled bodies pile up in the morgue. Indianapolis detective Ryan Phillips must stop the monster. Kari knows something. He needs her, but someone stands in his way. 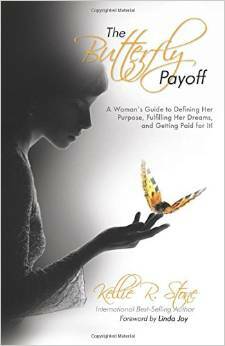 The Butterfly Payoff: A Woman’s Guide to Defining Her Purpose, Fulfilling Her Dreams and Getting Paid for It! – It’s never too late to live a magical life filled with Purpose, Dreams, and Abundance! Kellie R. Stone takes you on a journey to define your deepest passions and sacred purpose. Each page of The Butterfly Payoff brings you hope, confidence, and simple action steps to claim your truth and authentic place in the world. Quickly discover how to effectively conquer fear and non-serving mental habits while building a tower to your dreams. Success in Beauty is a Must Read, Revolutionary nonfiction Read! For any woman who’s looking for happiness in her life. With the struggles of day to day life, it’s easy for a woman to feel sad or even depressed. Women know they want to be happy and fulfilled, but they don’t know where to find it. Success in Beauty: The Secrets to Effortless Fulfillment and Happiness tackles a wide variety of topics that will get readers back on the road to happiness and fulfillment. The book is written by twenty women professionals who have joined together to give their unique perspective on how to be happy and fulfilled. The unforgettable topics covered in this book include mastering a positive mindset, finding and pursuing your passion, improving your inner and outer self, coping with health issues, coping with relationship issues, creating a career you love, creating a personal life plan, and much more! >>>>Create What YOU Want In Life!! There are many women going through day to day life depressed, sad or simply longing for happiness and fulfillment. There are millions of women out there who feel like this. Are you one of them? What raises this book above the rest is its unique approach to helping women achieve happiness. Since women have many different ideas about what fulfillment means to them, the book shows women how to create a improve their career, business and life. No matter what your personal meaning of happiness is, this book realizes that every woman wants to have meaning in her life and sometimes we need a little help obtaining it. 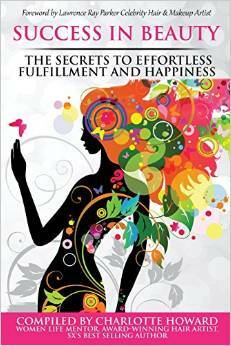 Packed with proven empowerment strategies, this read features must try tips in being happy, healthy and fulfilled. >>>>Create a Meaningful Life; Boost Your Self-Esteem and Self-Confidence! Charlotte Howard is the amazing women life mentor and single mom of four beautiful children who compiled this collection to help motivate women in their road to happiness and fulfillment in their lives. Her book comes from a very personal place as she herself knows what it’s like to try and fulfill her personal as well as professional goals. Howard knows first-hand how women lose their confidence on their way to happiness and how much of a struggle it is to return to fulfillment. She created this riveting read as part of her mission to restore happiness and fulfillment to women all around the world. “Are You Out Of Your Freakin’ Mind? – break mental barriers and live from your sacred creative space” takes you on a short journey to a sacred place, where creative expression and freedom becomes second nature. 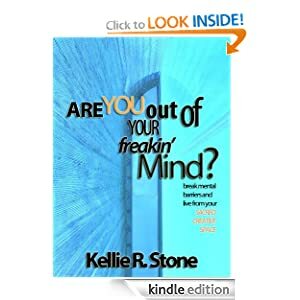 Through a series of simple exercises and candid real-life experiences, author, Kellie R. Stone, ignites your deepest creative passions, ones that may have been buried for a long time. With a focus on positive, creative awakening, you will find new inspiration for obliterating hindrances to follow through and consistency. Mental barriers melt away, as you follow the easy-to-understand instructions, allowing self-confidence and radiant creative endeavors to come to the forefront of your life. Artists, entrepreneurs, designers, teachers, writers, hobbyists, and anyone who desires creative change, are challenged to “get out of their minds” and live from a sacred, authentic place, from which life-changing ideas and gifts flow freely. Click any of the links below to purchase Are You Out Of Your Freakin’ Mind?